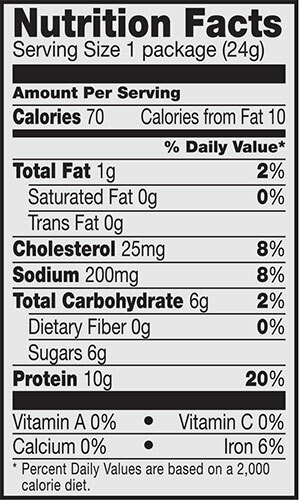 Jack Link's Original Beef Jerky meets "Smart Snacks In School" sodium standards, are high in protein (10g), low in fat (1g total fat), have 7g total carbohydrates, and only 70 calories! This combination makes a perfect item for kids to sell in school! There are 48 Beef Jerky Pouches in each case. 1. Sell each Beef Jerky Pouch for $3.00. 3. 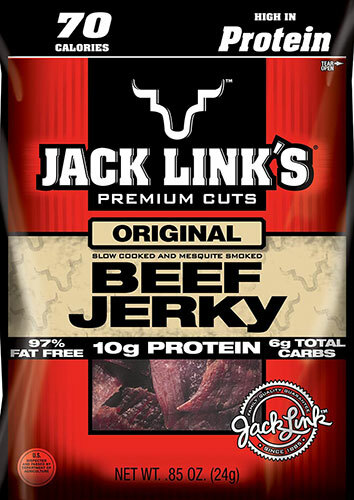 Your price for one case of Jack Link's Beef Jerky Original is only $86.40! 4. You make $57.60 per case!